Set amongst the Oxfordshire Countryside, Heythrop Park was an ideal location for this year’s BRDC Golf Day held yesterday, 12 October. With this October being the hottest on record expectations were high for the weather and it did not disappoint. Heythrop’s new Bainbridge course, was considered challenging and enjoyed by all who played. 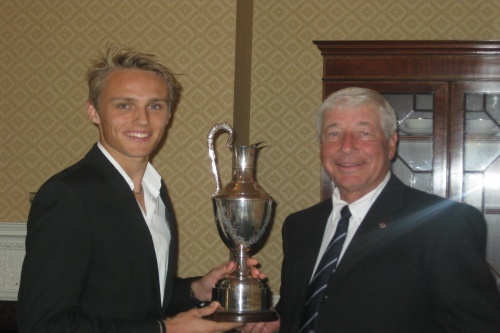 Following dinner in the Main House Howden Ganley, Vice President of the BRDC presented the trophy to Max Chilton who was delighted to have won. Duncan Tappy who spectacularly drove the green on a par 4 was awarded a special prize, having narrowly missed out on winning the Trophy. The day was thoroughly enjoyed by all those who attended, with the only disappointment being the rather low attendance.